On August 27, 1979, weeks before the pope’s visit, Lord Earl Mountbatton, the queen’s cousin, was killed by the IRA while pleasure boating in Mullaghmore, County Sligo. At the same time, 18 British soldiers were ambushed and killed in an attack known as the Warrenpoint ambush. Pope John Paul II followed in the footsteps of St. Patrick, and was the first pope to visit the Emerald Isle. 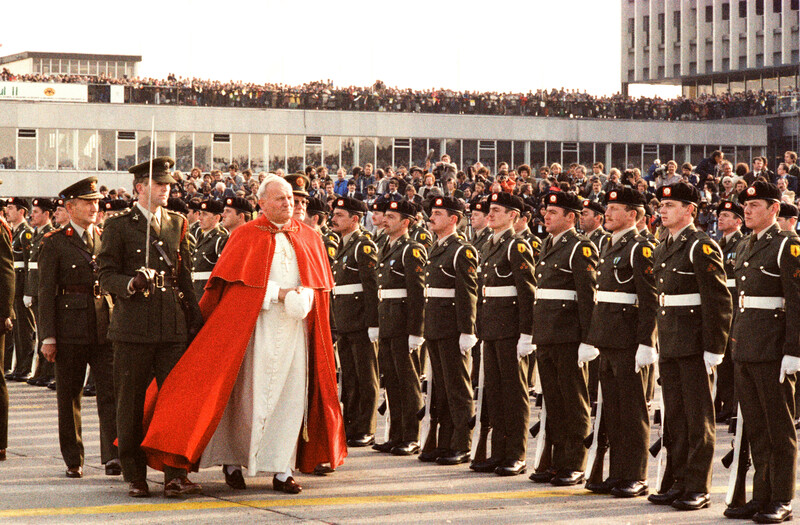 As John Paul II flew into Ireland, organizers told him the awaiting crowd was more than one million. Estimates put the size of the crowd at Phoenix Park, Dublin, at more than 1.25 million, representing one third of Ireland's population. 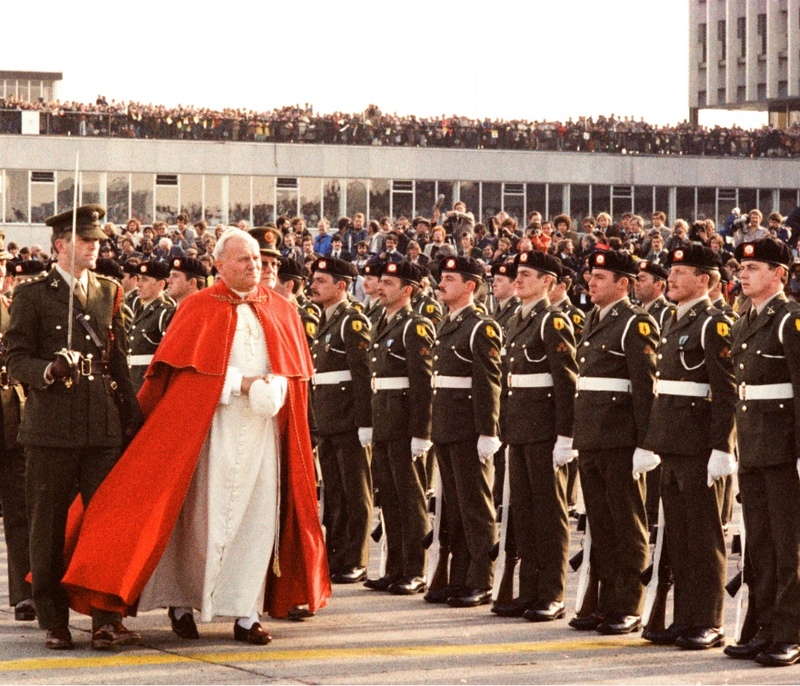 Overall, John Paul drew crowds of more than 2.5 million. In his meeting with the youth of Ireland at Galway, John Paul II uttered an unforgettable line, “Young people of Ireland, I love you” to which he received an 11 minute standing ovation. That memorable phrase has entered into Irish lore. John Paul II’s speech at Drogheda left no doubt as to the commitment of Catholicism to the ways of peace. No one championed this cause more adamantly than Fr. Alec Reid, a Catholic priest whose ministry placed him at the heart of The Troubles, in Clonard Monastery, Belfast. Fr. Reid established a dialogue with Gerry Adams and was able to convince John Hume, leader of the rival SDLP, to meet with Adams. Together they would lead the way towards the Good Friday Agreement.